The Bike Packer Plus waterproof rear panniers are Ortlieb’s top-of-the-line cross-country touring panniers. These panniers hold 40 liters of gear. 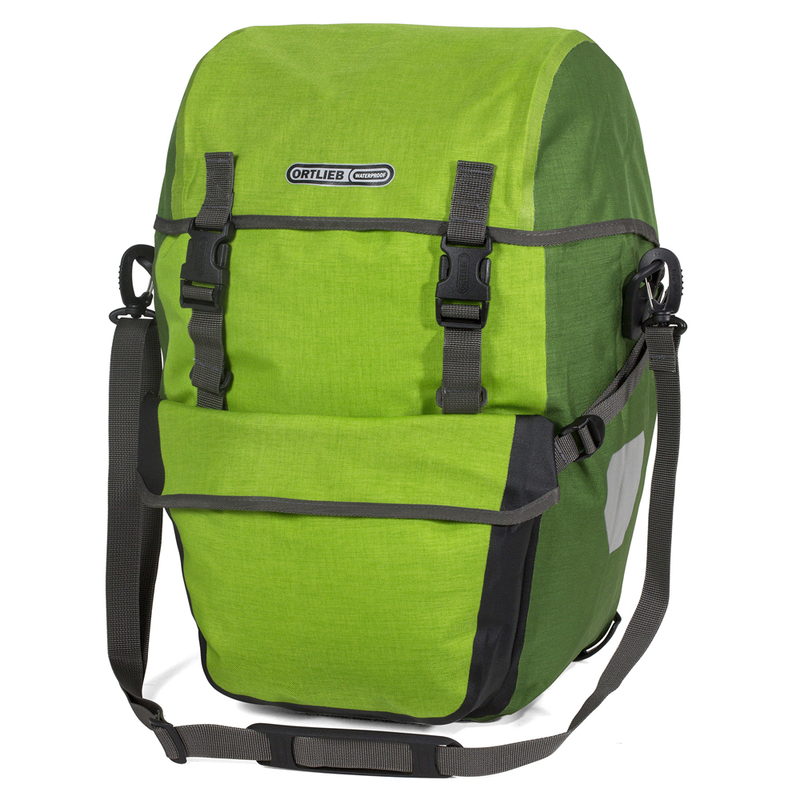 A front pocket provides additional carrying capacity with quick access. The waterproof Cordura fabric ensures your cargo will stay safe and dry. Couple these panniers with the Sport Packer Plus panniers and there’s not much you can’t bring with you. For tandem touring, a combination of these high-capacity panniers along with a bicycle trailer can be utilized to carry both riders’ gear. Waterproof pocket on the front of the panniers provide extra carrying capacity. great, good instructions, and was nice that an extension bracket was available to clear our handlebar! On time and good shop as well. I have a pair of the Bike Packer Plus panniers that I love...well designed, well made, bulletproof and rock solid on my bike. So when it came time for a new set of panniers for my wife, we didn’t hesitate to get a second pair. She went with the lime green, which is very visible, yet looks great. They were back ordered when we purchased, but Bikeshophub kept us informed and got them to us quicker than we expected. Happy Campers!